We are your First Responders! S.P.A.T. is dispatched to any emergency in under an hour — GUARANTEED! Special Procedures and Techniques (S.P.A.T.®) is an Emergency Cleaning Response Team approach that provides specialty and emergency cleaning & facility services to institutional and business facilities. While most contract cleaning services do a good job of regular cleaning and maintenance, only S.P.A.T.® is structured with the personnel and equipment to provide immediate and consistent emergency facility services seven days a week, 24 hours a day. The S.P.A.T.® business concept is patterned after the police SWAT teams. 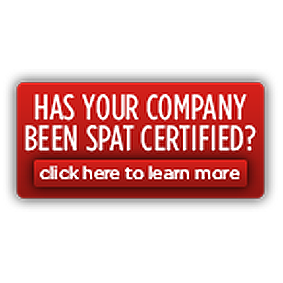 S.P.A.T.® is the SWAT team of the facility services industry. Just as a SWAT team moves into police emergencies and special situations on a moments notice and gets the job done, in the same way S.P.A.T.® responds immediately to emergency and special facility service situations and gets the job done quickly and effectively. "S.P.A.T. earns a rating of 10 (excellent) on a scale of 1 to 10. They are very responsive. We save time and money because one call brings them within the hour."